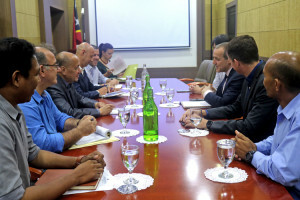 The Acting Minister of Planning and Strategic Investment, Agio Pereira, received representatives of the concessionary Bolloré and the heads of Timor Port SA, at a meeting of coordination and information on the progress of the construction project of the Port of the Bay of Tibar on March 28, at the Government Palace in Dili. 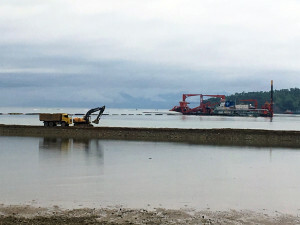 The Port of Tibar, to be built 10 kilometers west of Dili, in Tibar Bay in the town of Liquica, is a priority infrastructure identified in the Strategic Plan for Development of East Timor from 2011-2030. 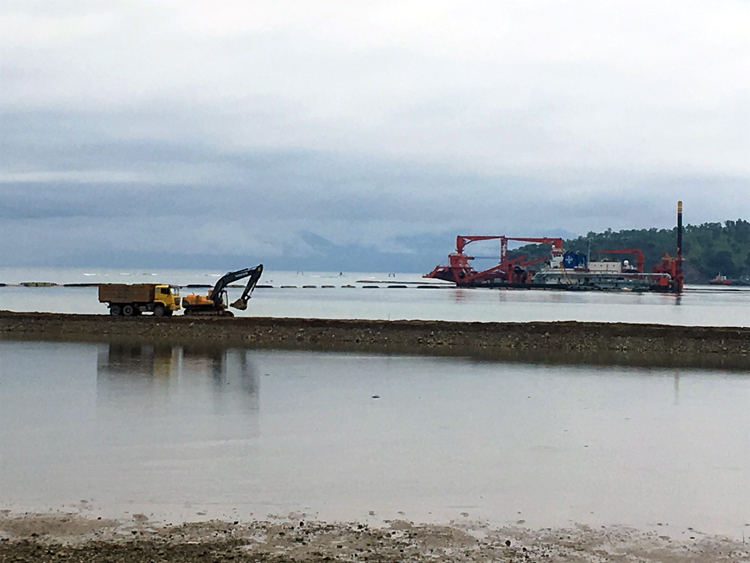 The construction of the international terminal began on the 30th of August 2018 and is being implemented by Timor Port SA, a Public-Private Partnership (PPP) between the Bolloré consortium and the Government of Timor-Leste. The port will include two wharfs which will be able to receive more than 870,000 containers annually. 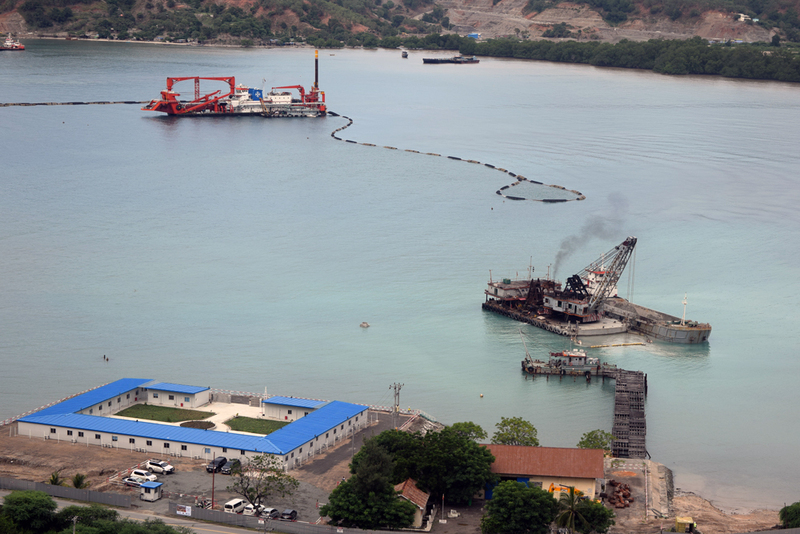 Since the signing of the 30 year concession contract in June 2016, , Timor Port SA has performed all project studies and environmental impact analysis and much of the technical services of the company are now based in Tibar, where the new Port will be born. The Port of Tibar will be a port of deep water of the latest generation and with modern equipment that will allow the fast and efficient movement of containers and cargo. The port of Tibar will also have the capacity to receive larger ships than the current Port of Dili, which will save on the price of goods and thus improve prices for consumers. During the construction phase, it is estimated that more than 1,000 jobs will be created, of which the vast majority will be for national citizens. This project, the largest private investment ever made in the country in public infrastructures, sends a signal to other investors that Timor-Leste is an attractive country to do business. In addition to the Acting Minister of Strategic Planning and Investment, the meeting was attended by Rafael Ribeiro, Director of Timor Port SA, Eric Mancini Representative of Bolloré for the Asia-Pacific region, Philippe Jullien, Director of Development of Bolloré as well as the Project Management Unit of the Tibar Bay Port (PMU-TBP).